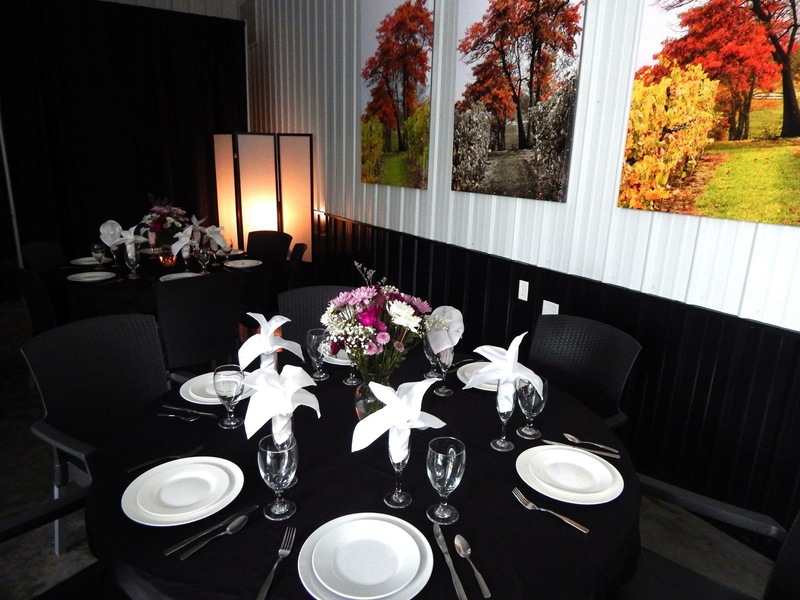 The Tasting Room is great for private tastings and small showers and can accommodate up to 22 people. 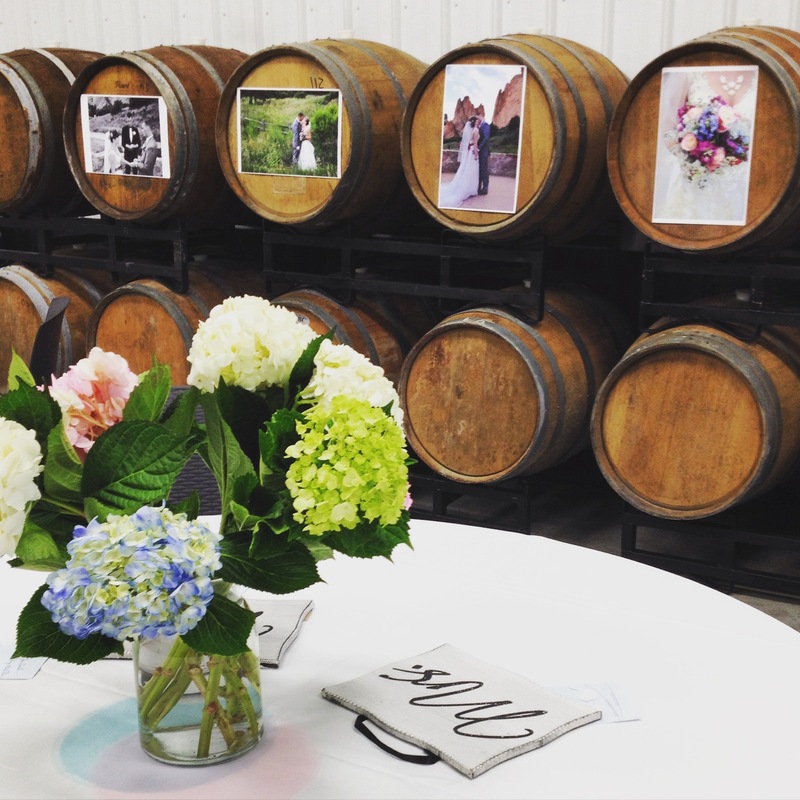 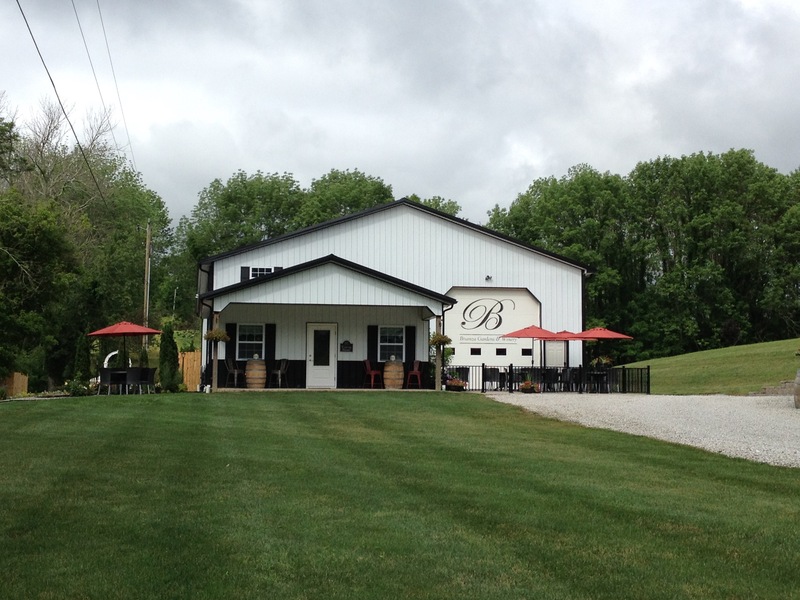 Enjoy the wood work and homey feel the Tasting Room has to offer. 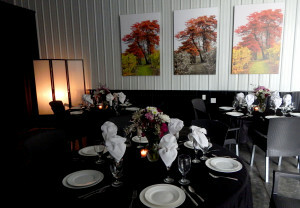 The tasting room includes the use of a 32″ television with cable great for games and slideshows. 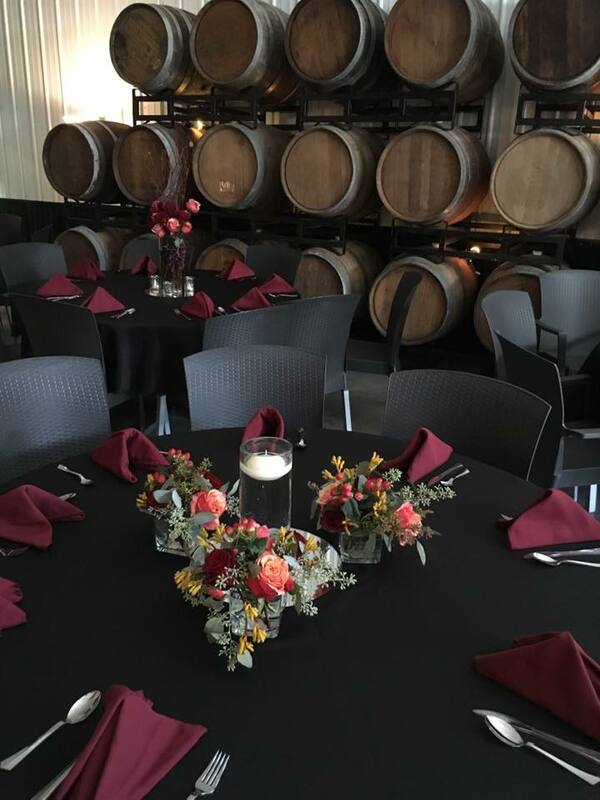 The tasting room is open to the public Tuesday-Friday 11-5, Saturday 11-8, and Sunday 1-5 for wine tastings and is only available for private events during non tasting room hours. 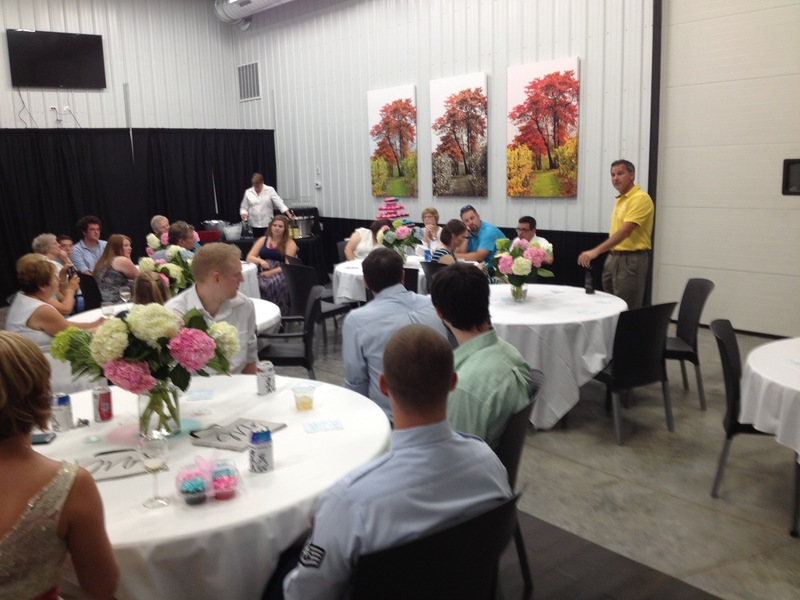 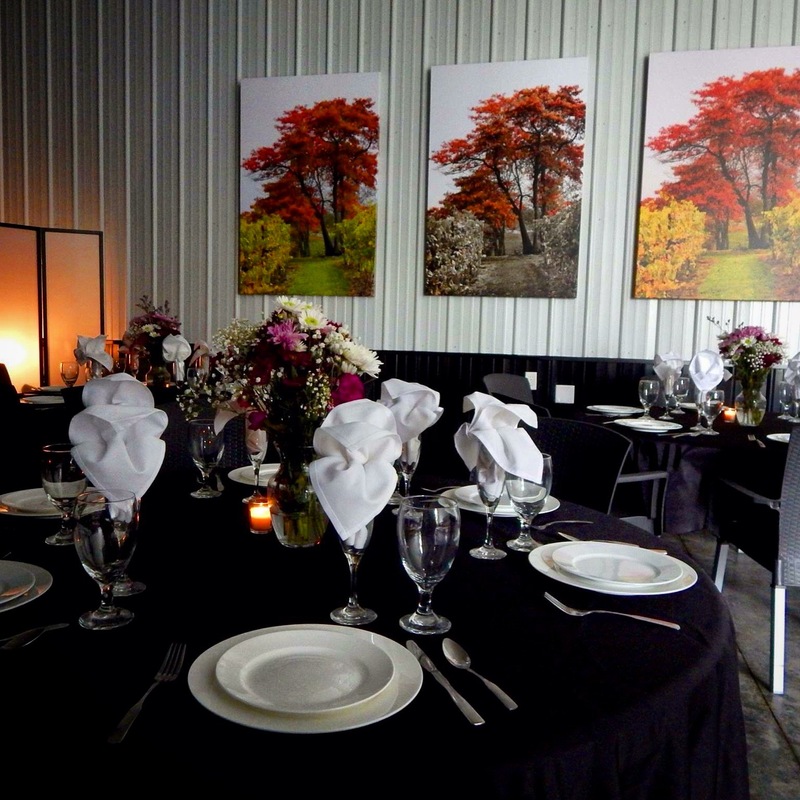 The Banquet Facility comes with tables and chairs that can be moved around to fit your event needs. 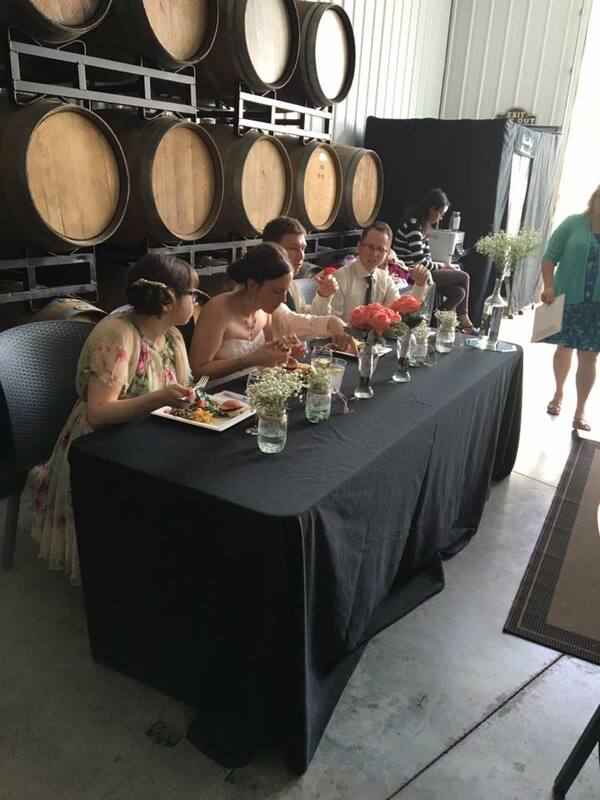 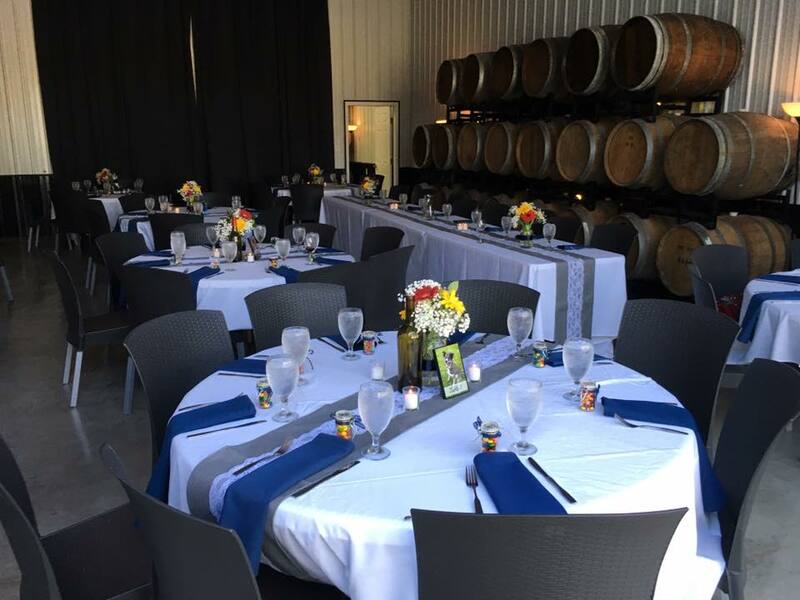 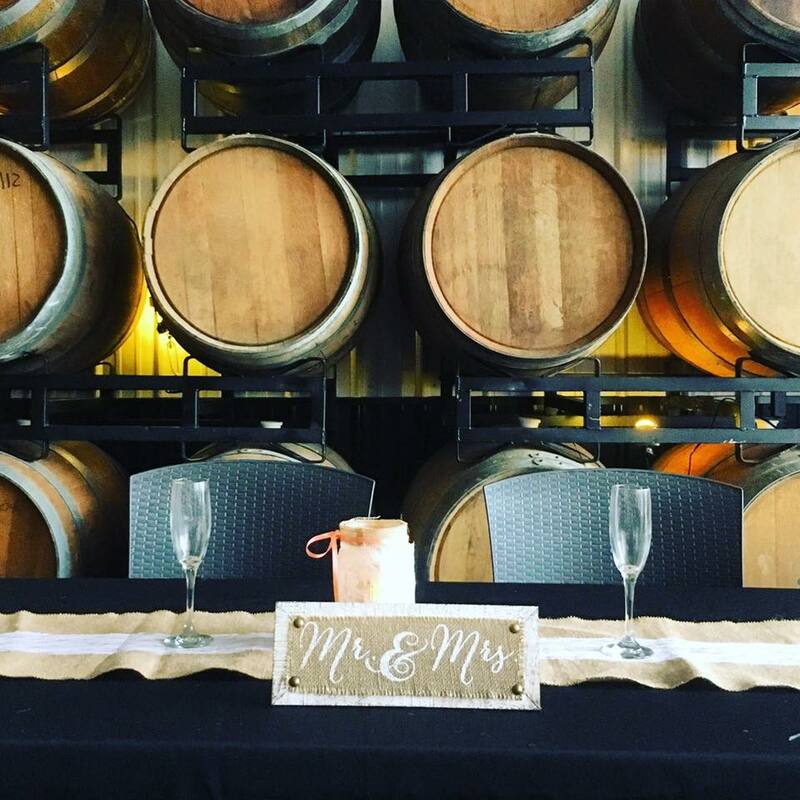 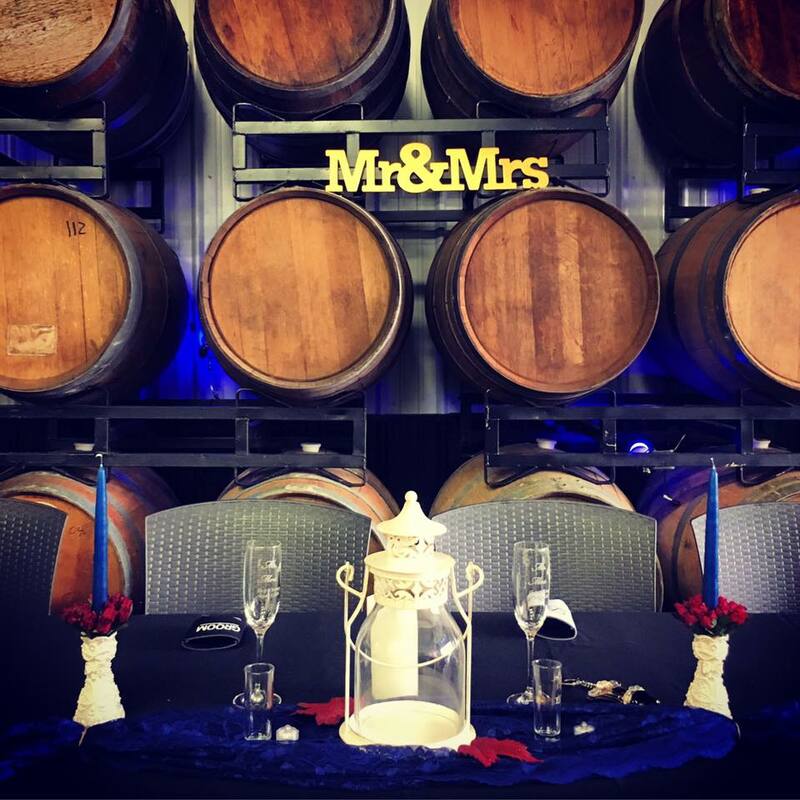 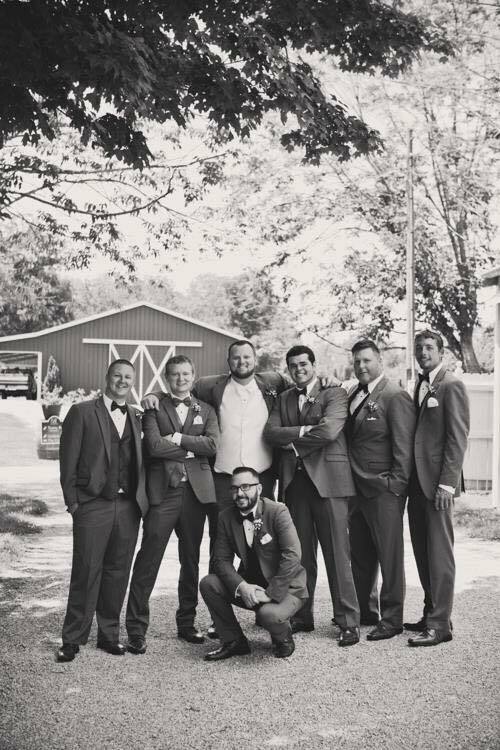 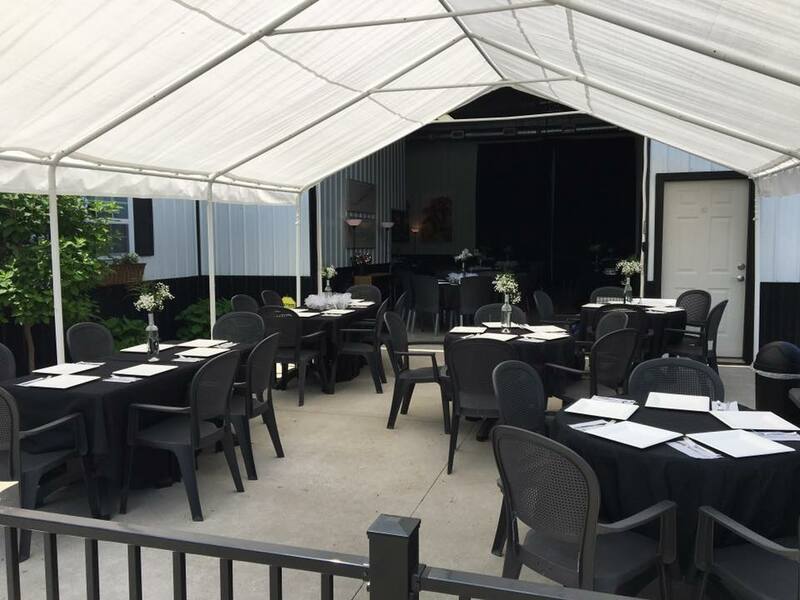 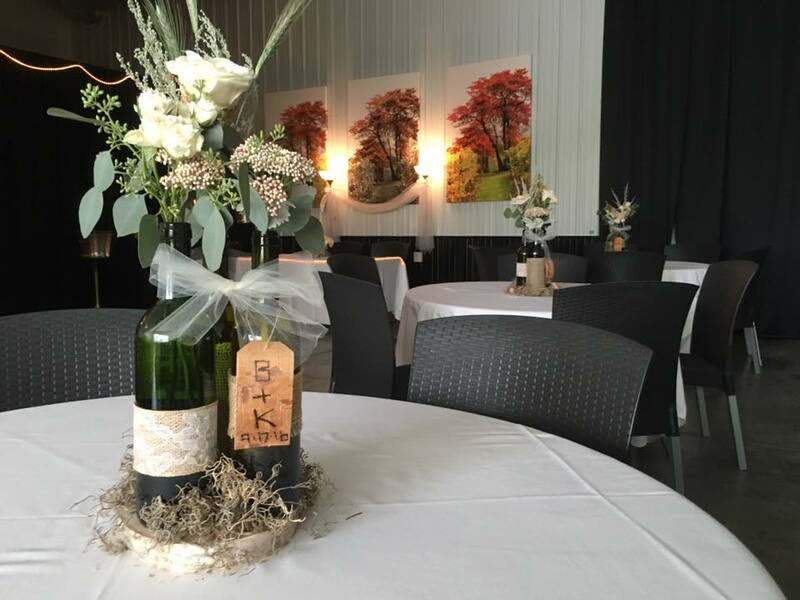 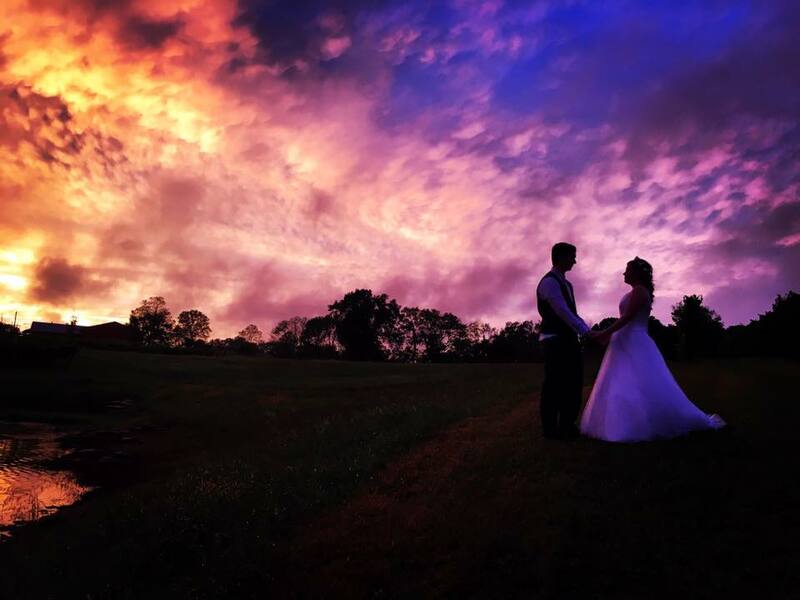 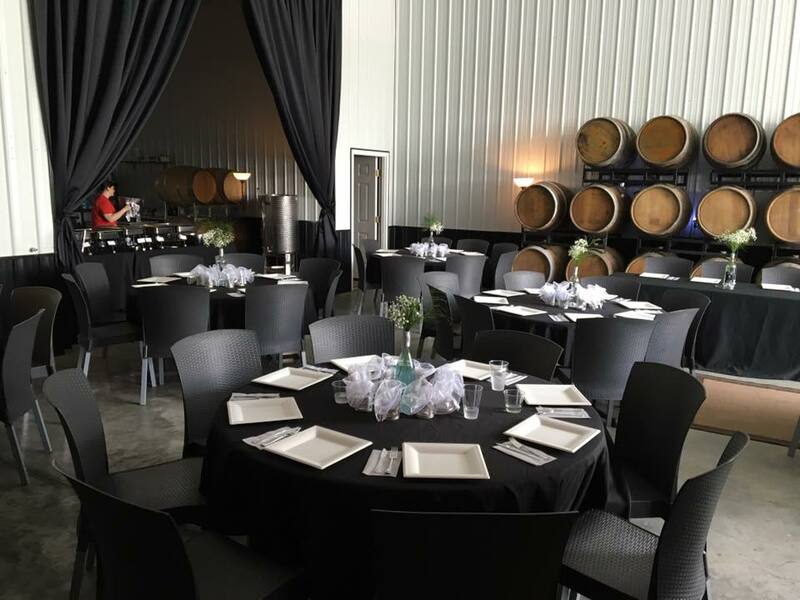 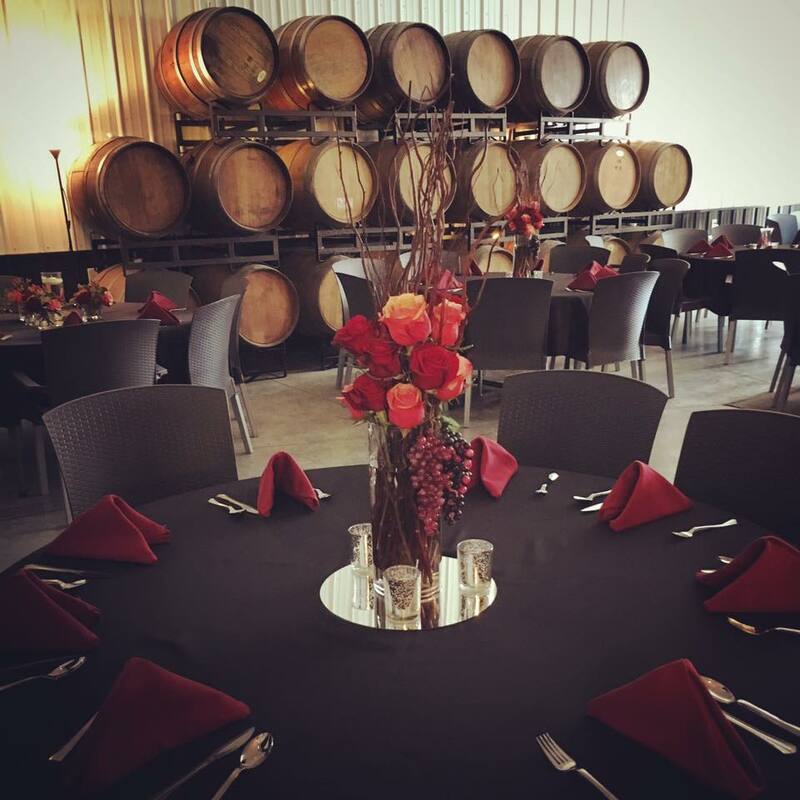 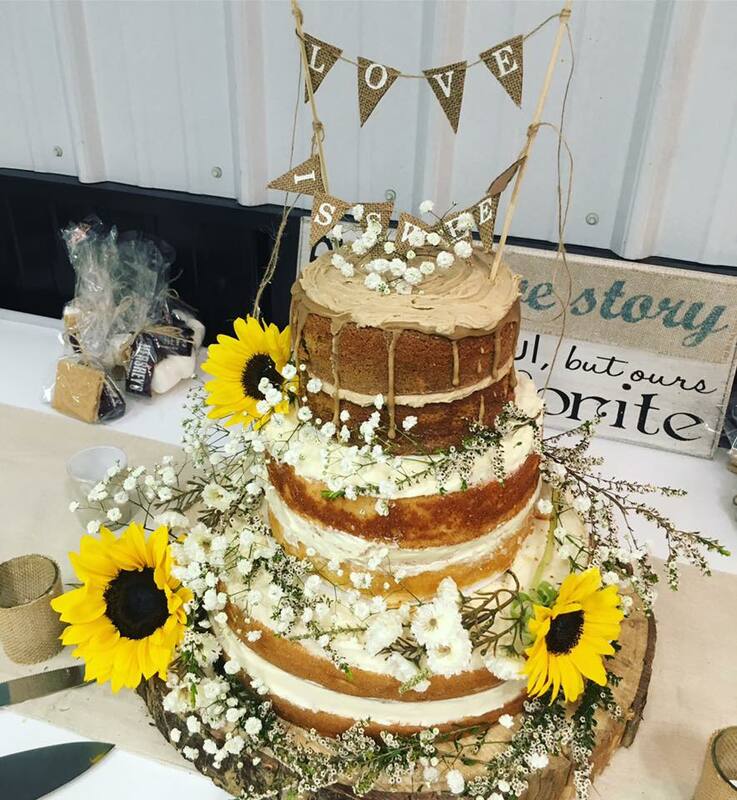 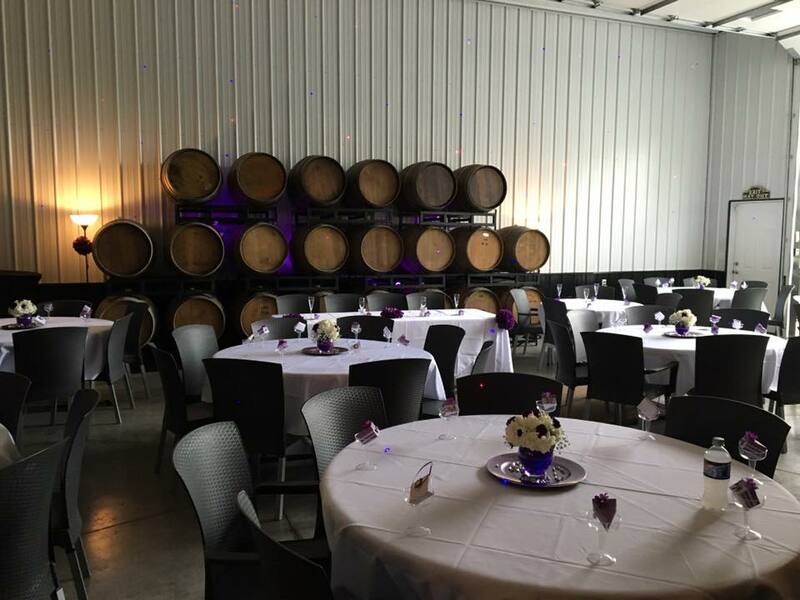 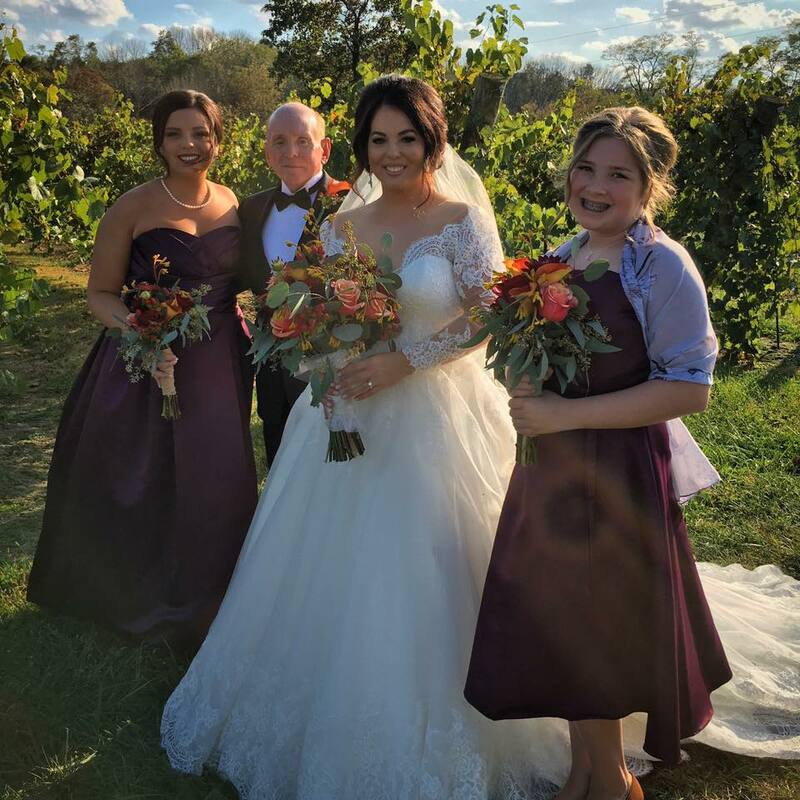 The Banquet Facility has a full catering kitchen, 65″ television with cable mounted to the back wall and large garage door that opens onto our patio space. 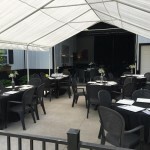 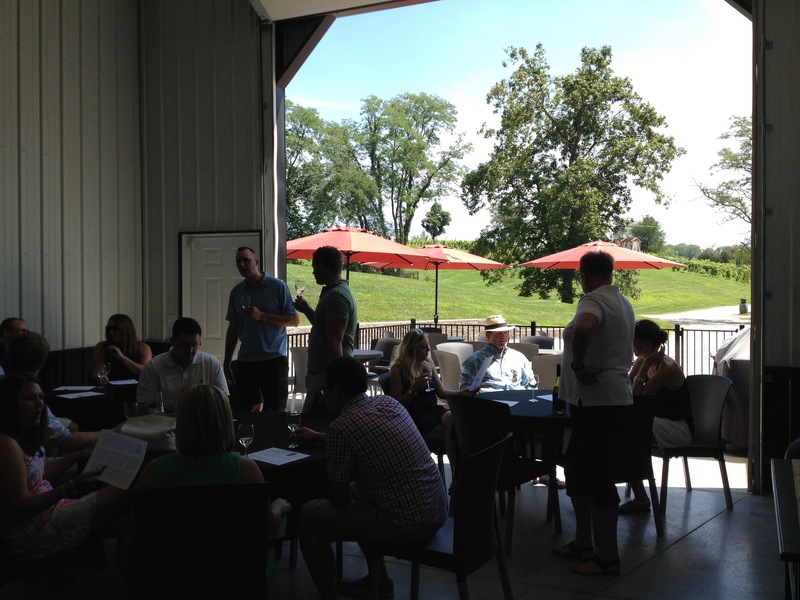 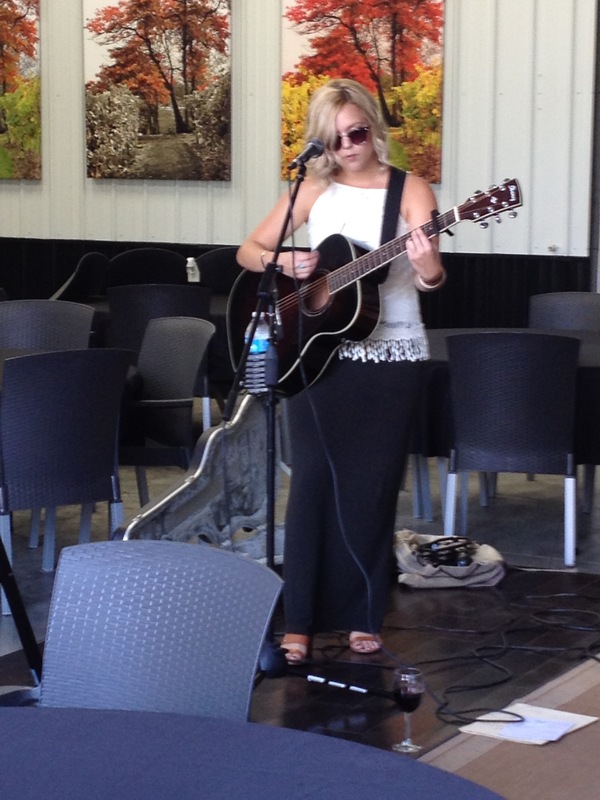 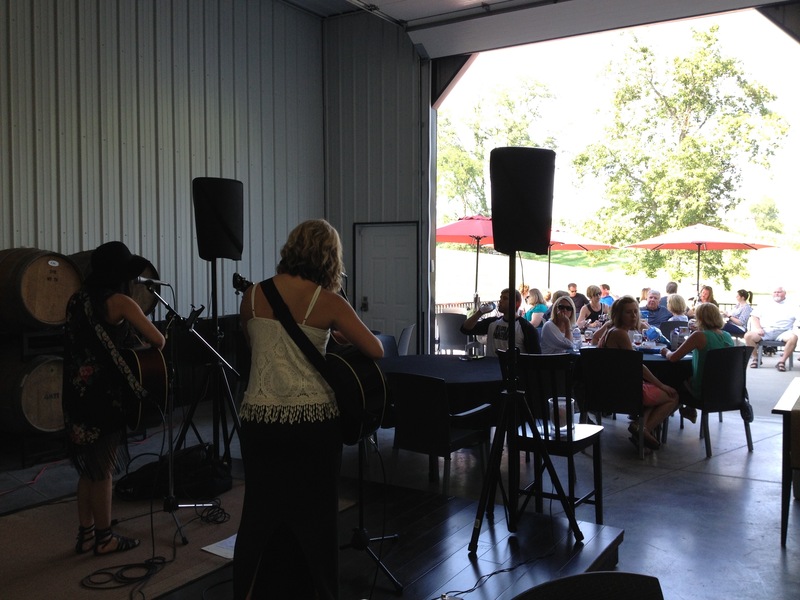 The Banquet Facility can join with our patio to make a great indoor/outdoor space for your event. The Patio is a great outdoor option where you can sit outside and enjoy the view of Brianza’s vineyards and hills. 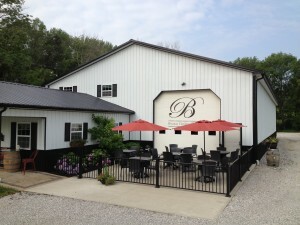 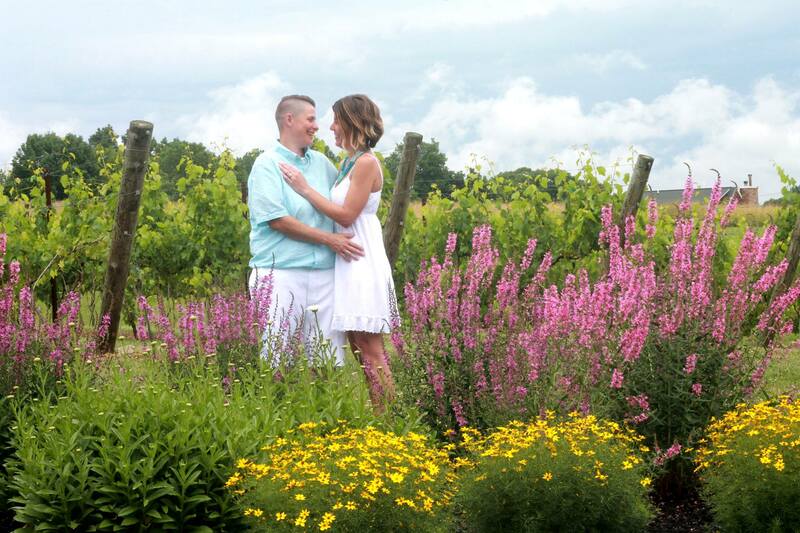 A favorite place during our weekend wine tastings to sit and enjoy a glass of wine in a relaxed atmosphere. 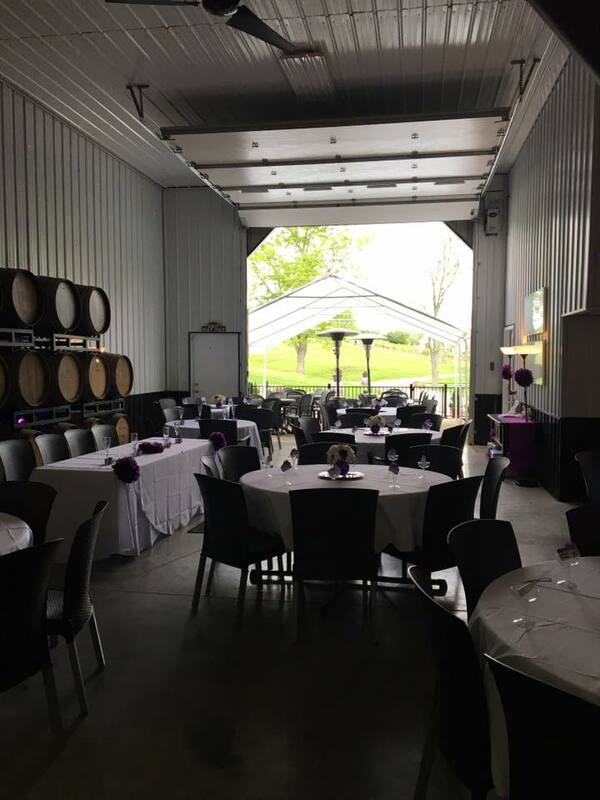 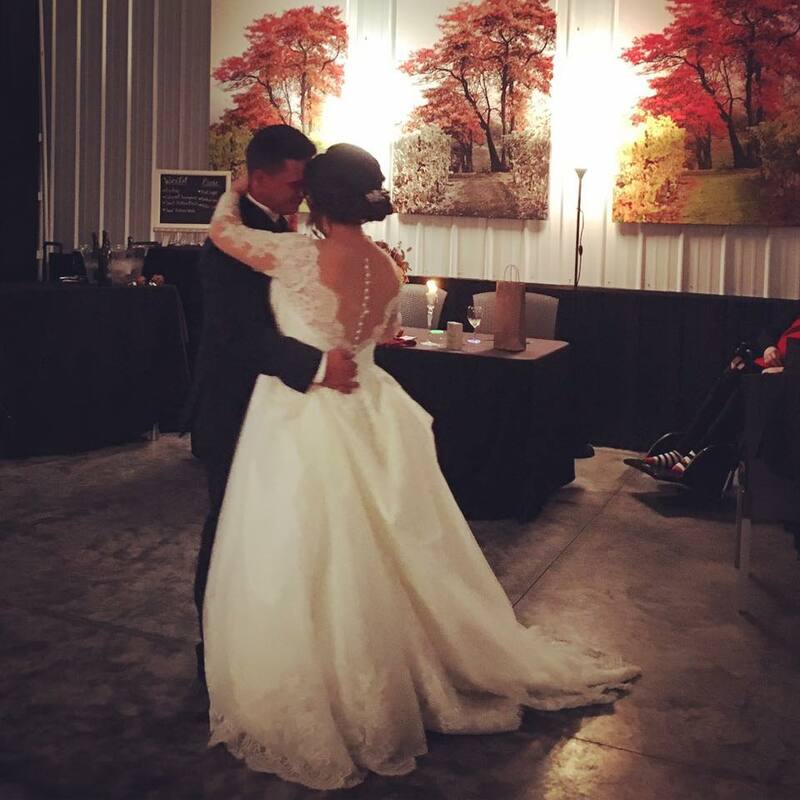 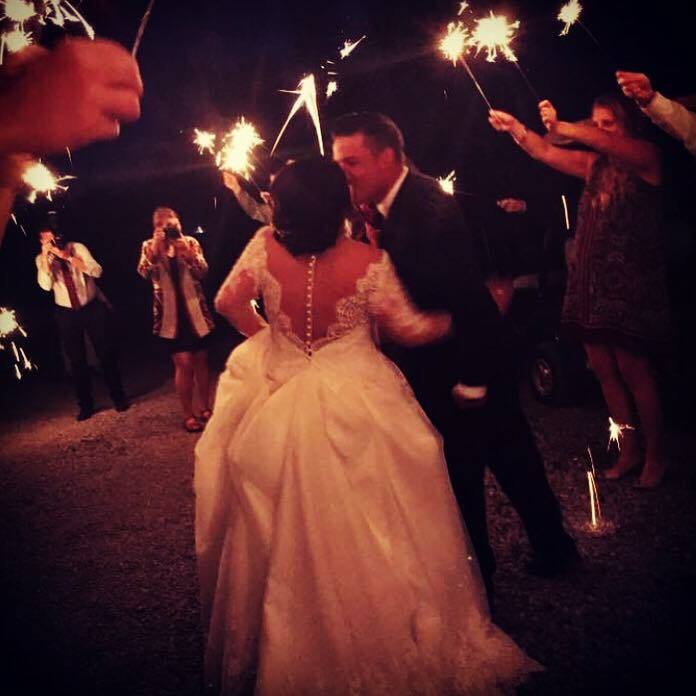 We can open the garage door to join the Reception Hall and Patio to make a great indoor/outdoor space for your occasion. 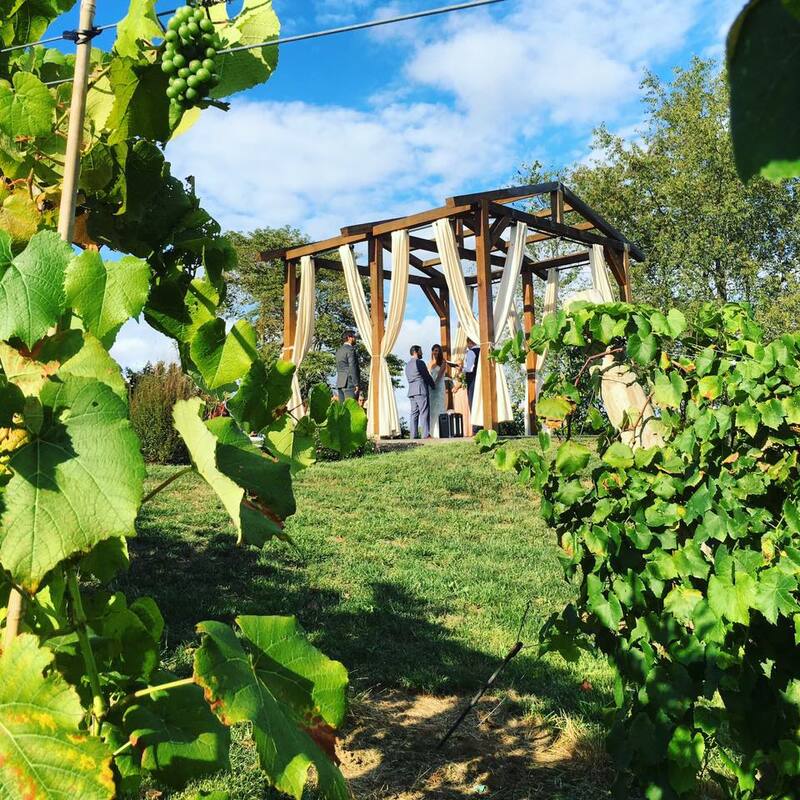 Brianza’s iconic hill top Gazebo is surrounded by vineyards and formal gardens. 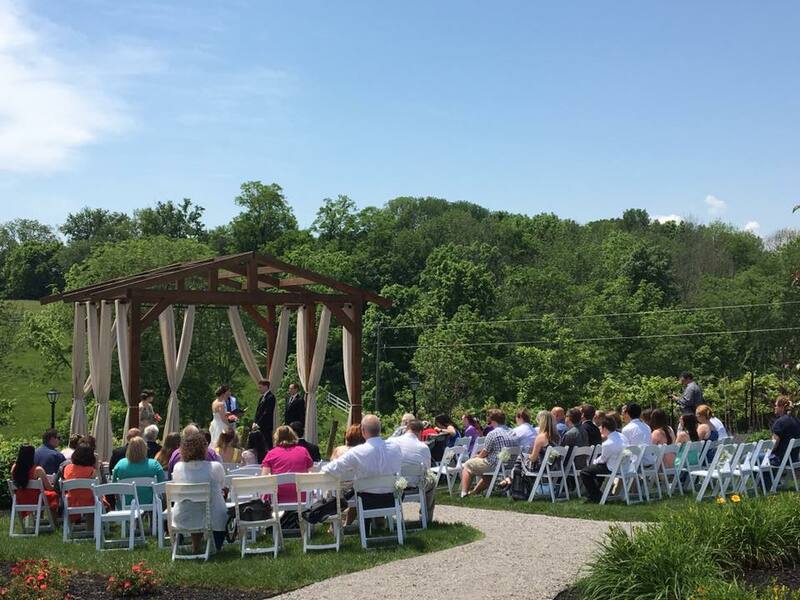 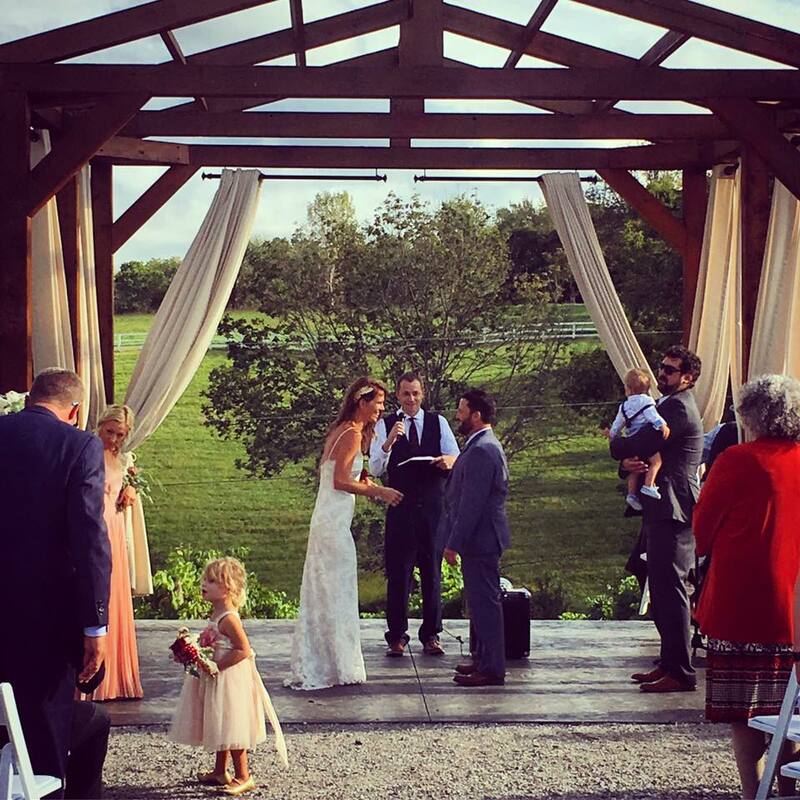 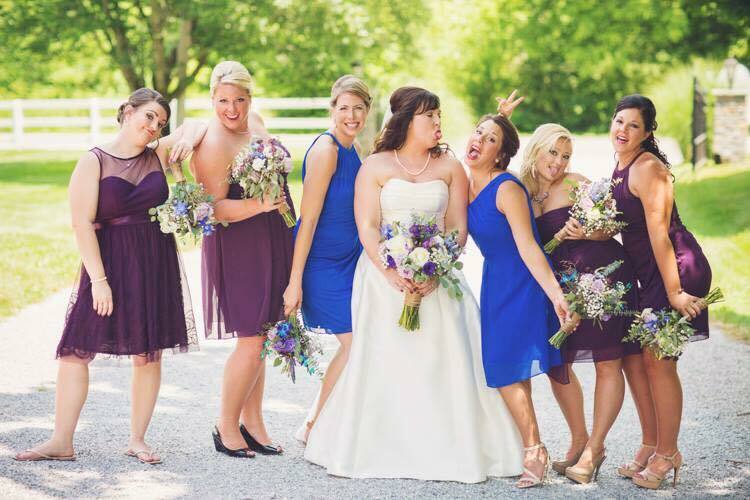 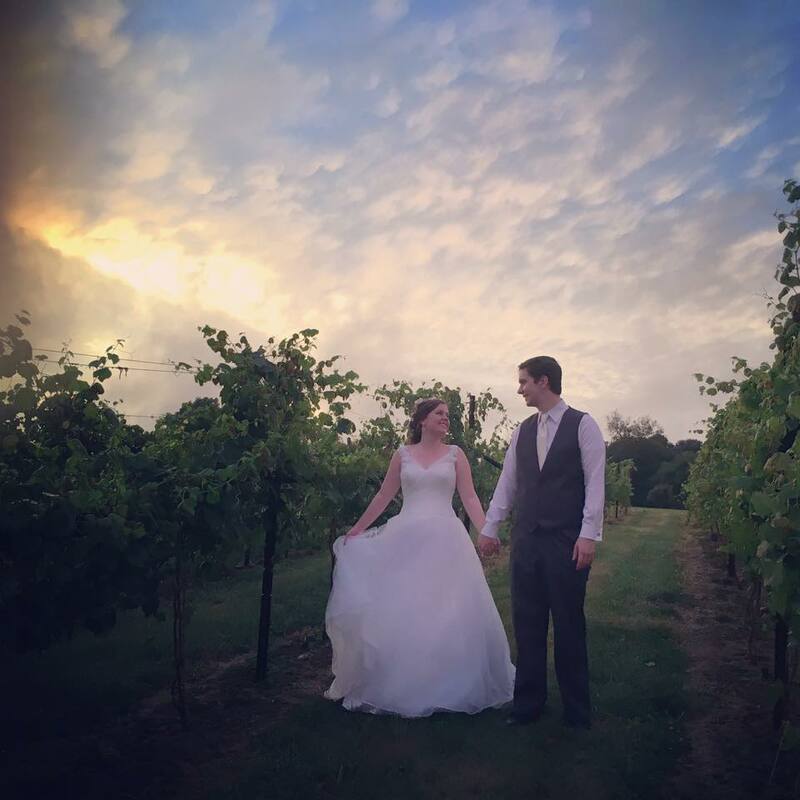 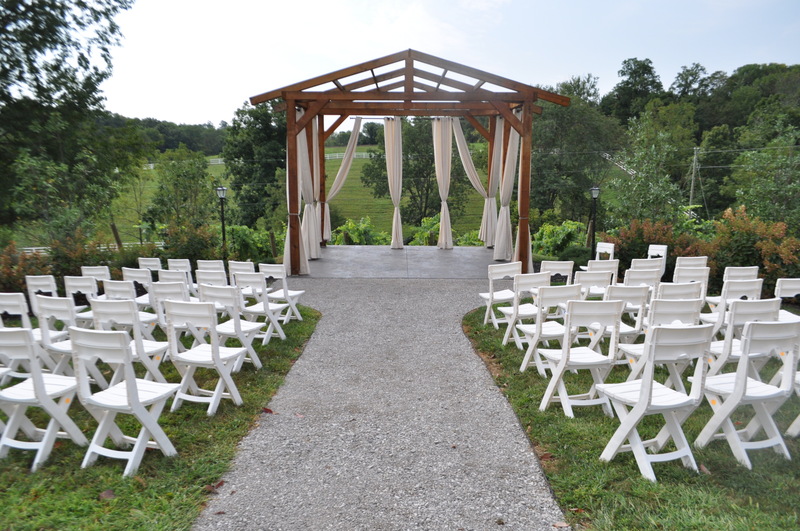 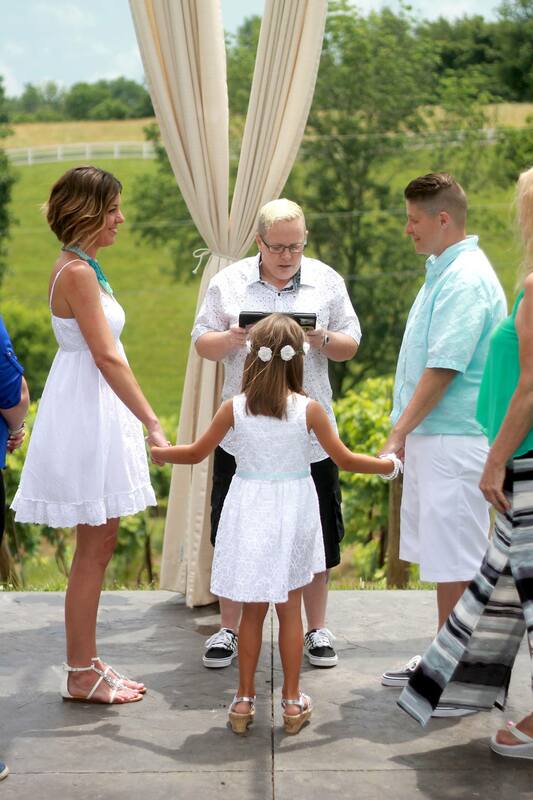 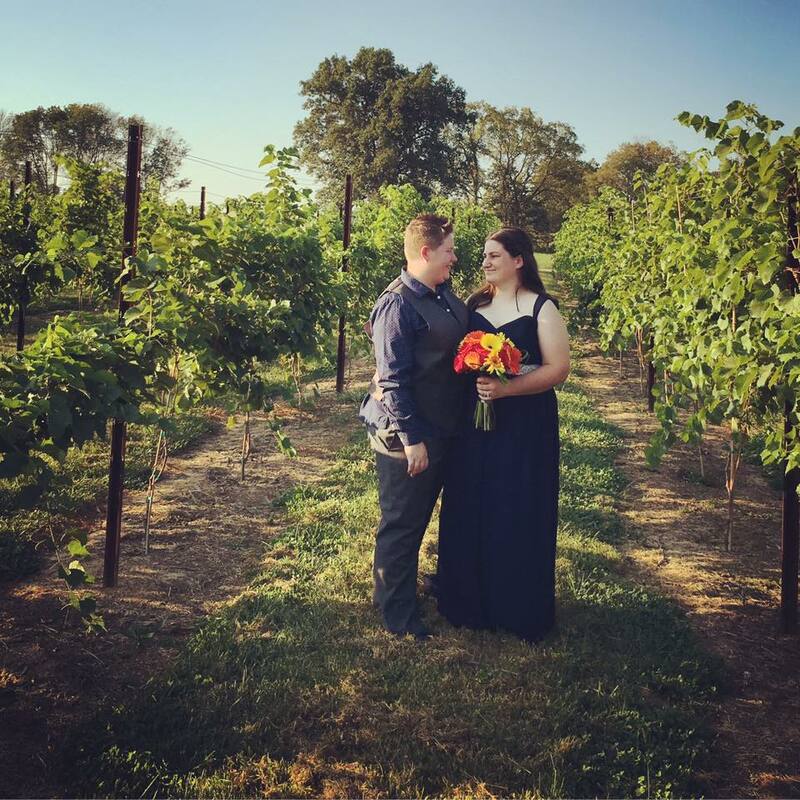 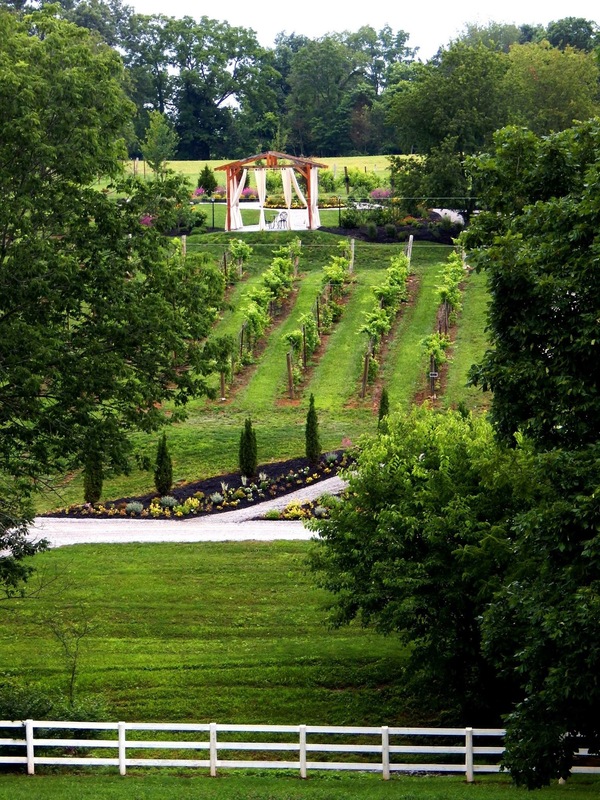 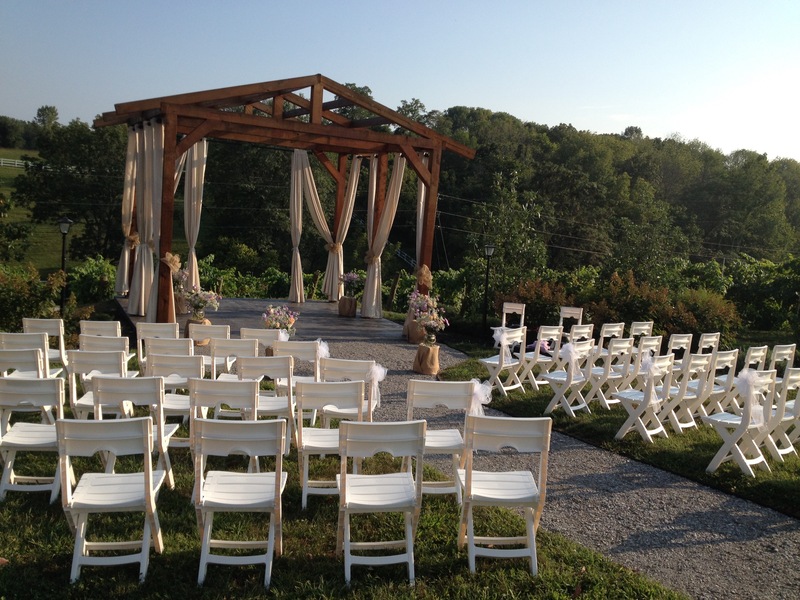 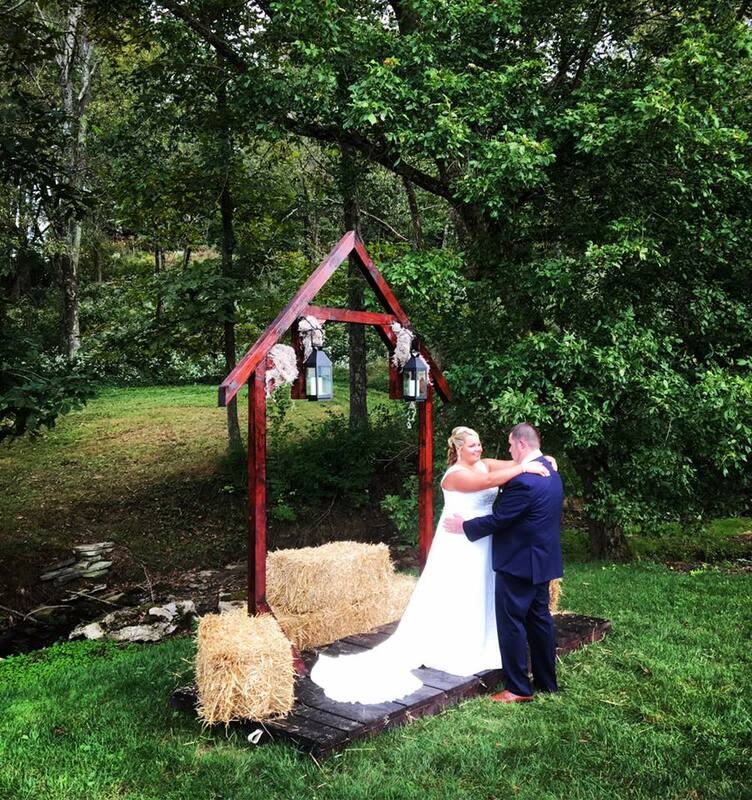 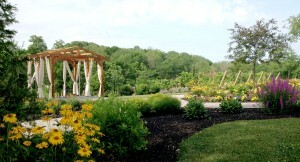 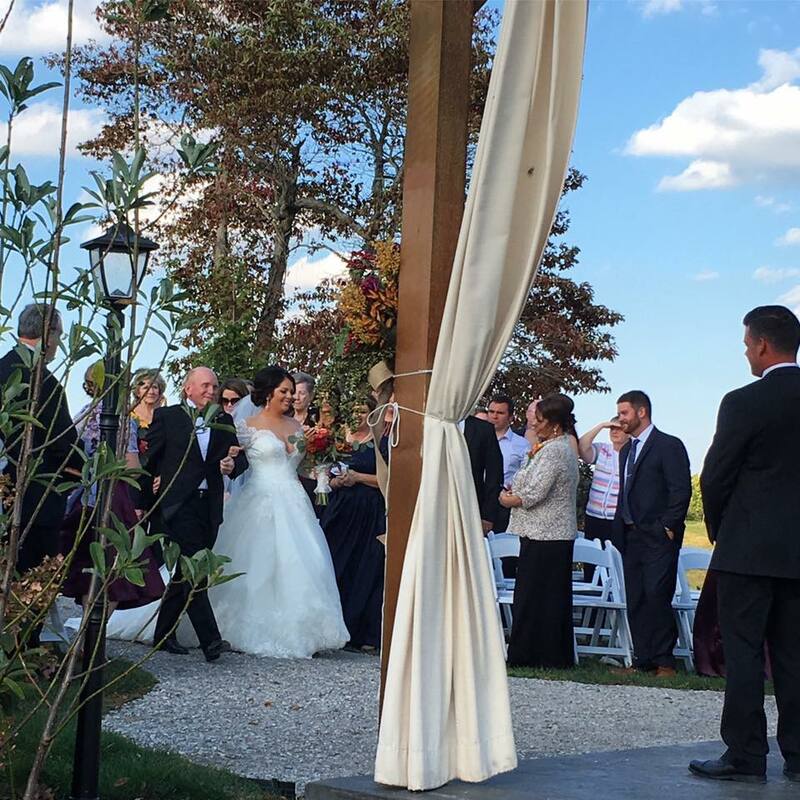 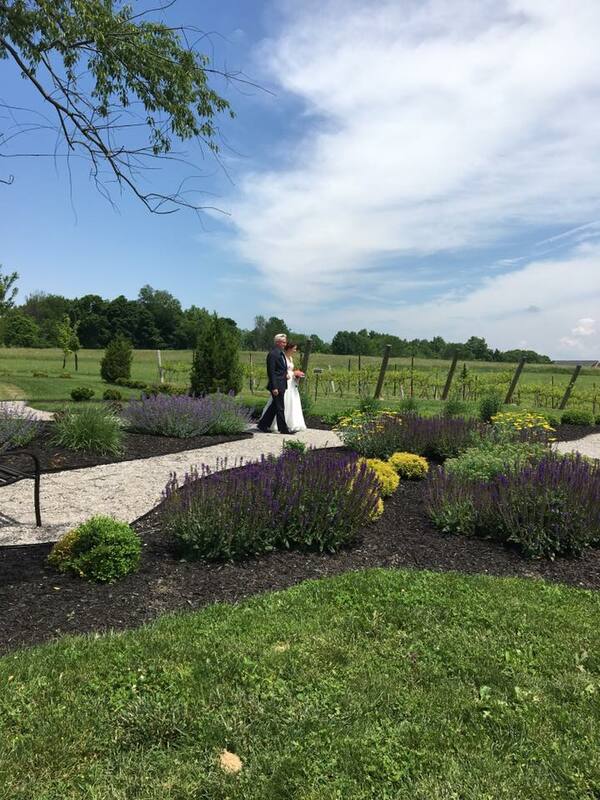 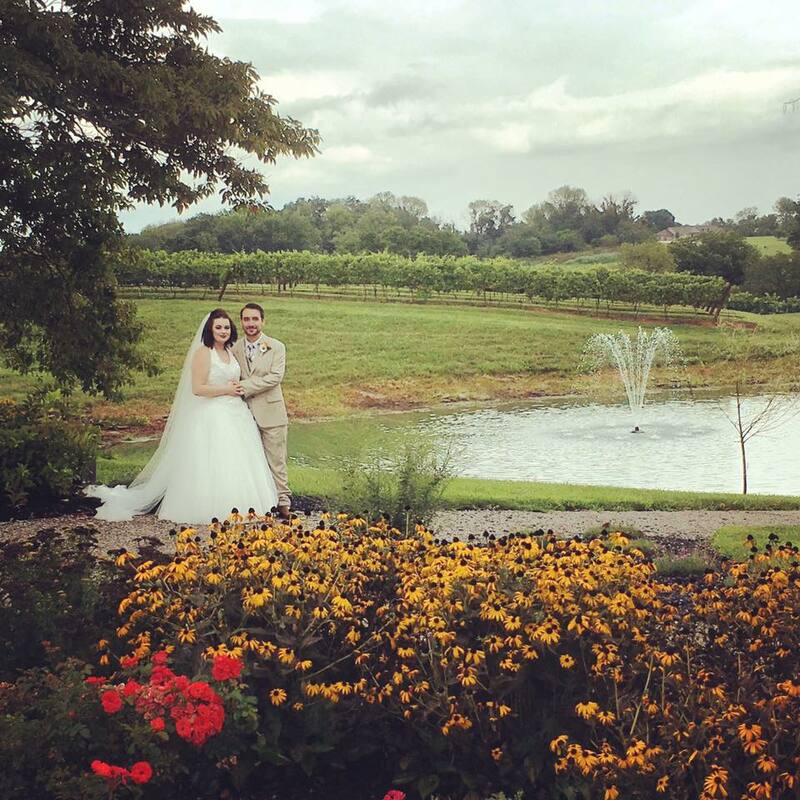 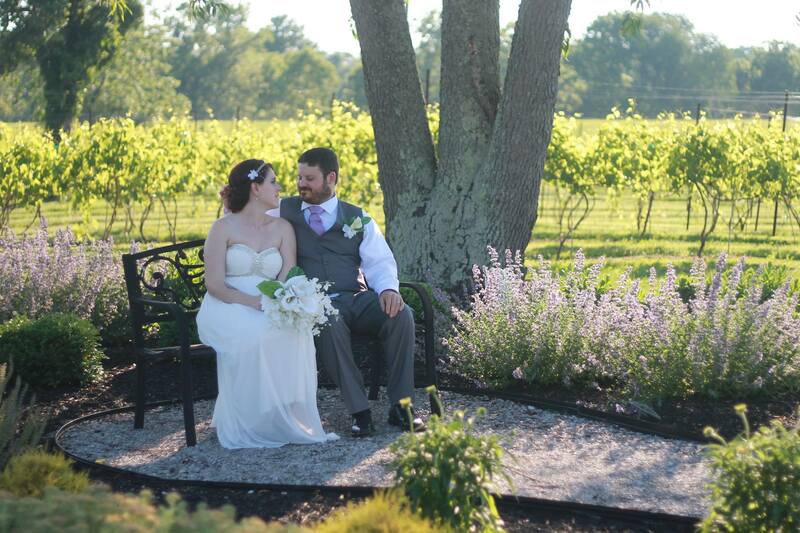 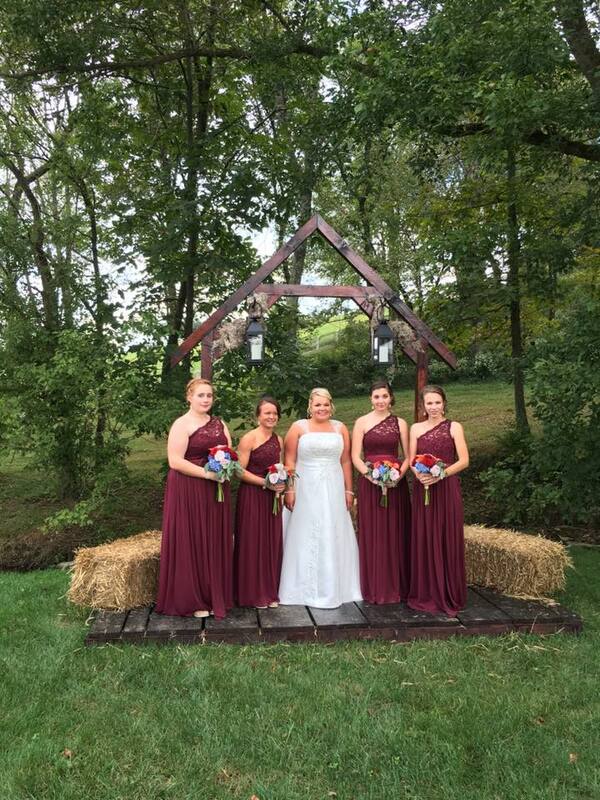 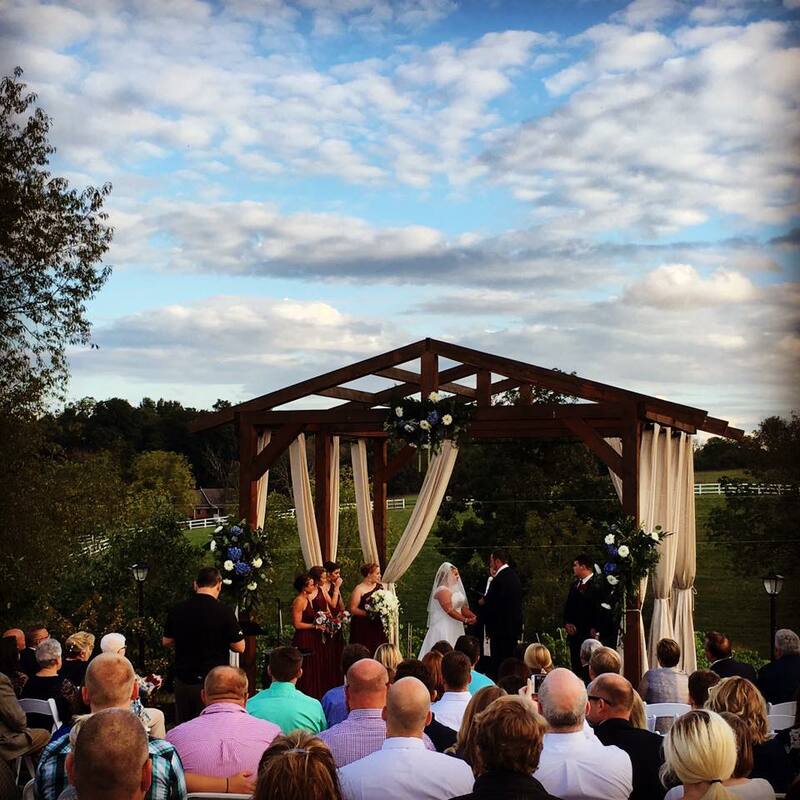 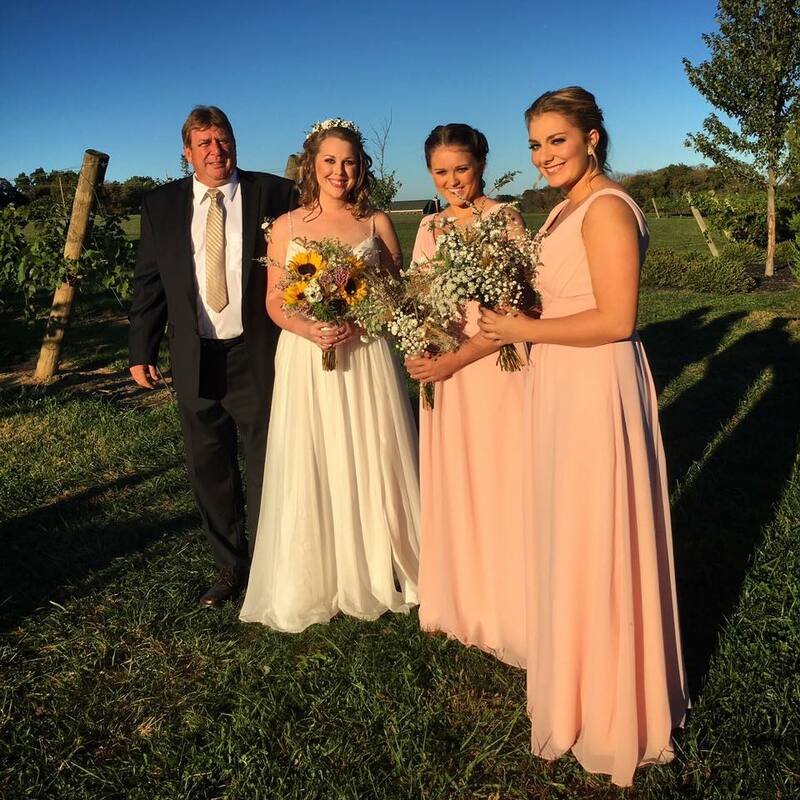 The Gazebo offers a blank slate to customize your ceremony to suit your tastes. 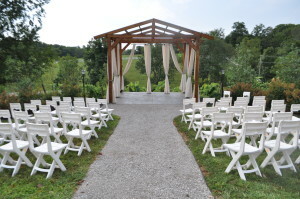 The cream curtains are available for your use and chairs are provided and set up by Brianza for the ceremony.